John Wang is working on bringing the Queens Night Market to Flushing Meadows by April. CORONA — John Wang fondly remembers the night markets filled with street food and local artists he'd drag his family to when visiting Taiwan as a child. The open-air markets are popular on streets around the world, most famously in Taiwan but also in Hong Kong, Thailand and China — a family-friendly spot to grab food or walk around. "It's kind of a throwback to my own personal history," Wang, 33, said. "I loved these night markets that took over streets." After leaving his job as a corporate lawyer in Manhattan, he traveled and visited night markets around the world and realized that they were lacking in New York City. The idea for the Queens Night Market was born out of that, and he's now in the final stages of preparing for a weekly, evening market at Flushing Meadows-Corona Park. The opening night would be hopefully held outside the Unisphere, with subsequent markets held at NYSCI, he said. Wang envisions food carts, stands and artists hawking their items, and he's aiming for 150 vendors to start. It would run Saturdays from 6 p.m. until midnight from April to October at the park. Wang said he's meeting with the Parks Department and the NYPD to solidify plans, and he will create a Kickstarter to raise $50,000, which will pay for tents and other building elements. He hopes the Queens Night Market "highlights and represents New York City, and Queens in particular" and he plans to keep the costs to vendors lower than at other markets. "We're really trying to subsidize our vendors to half or [a] third of what they'd be charged elsewhere," he said. 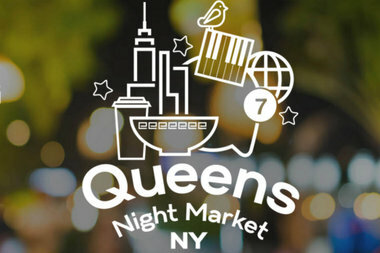 For more information, visit the Queens Night Market website.